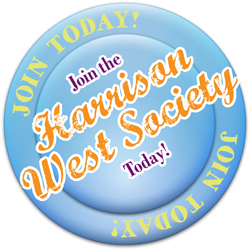 The Harrison West Society will be mailing membership renewal forms to all current and recent Society members in the next couple weeks. The Society depends on membership dues to pursue neighborhood initiatives and goals. Paid Society members in good standing can vote at meetings and help determine the course of our neighborhood. Please renew your membership as soon as you receive your renewal form. If you are not currently a member, please consider joining us. Dues are very reasonable, and membership not only gives you a voice in the Society’s decision-making but also helps you to meet your neighbors and build a strong community. You can request a membership form by sending an e-mail to membership@harrisonwest.org. See you at the Harrison West Holiday Party on December 21, 7:00 p.m. at the Harrison Park Condos Community Center.